After a great brunch celebrating “Autism Advancement Month” in April, come have a closer look at AASCEND‘s renowned Job Club on May 20, when in a special one-time event we move the Job Club from its usual date to our general meeting so that all can see how it’s run, and benefit from a discussion on neurodiversity employment by Abby Maldonado of internet powerhouse Pinterest. 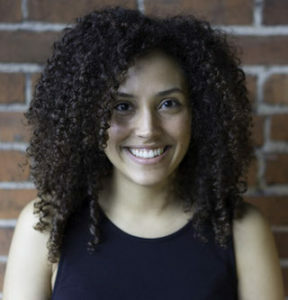 Abby Maldonado is a Diversity Programs Manager at Pinterest. She helps lead Pinterest’s efforts to diversify its workforce through external outreach and by implementing data driven internal programs. Prior to her diversity role, Abby managed Pinterest’s intern program as a member of the University Recruiting team and travelled to campuses to recruit the next generation of Pinterest employees. She is a member of the Workforce Investment San Francisco Board. Abby earned a degree in labor relations from Cornell University’s ILR School. The Job Club will continue as usual after the Pinterest presentation. 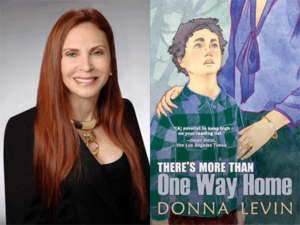 There will be a book signing and library discussion by AASCEND friend Donna Levin, author of the new novel There’s More Than One Way Home about a family with a child on the autism spectrum who is accused of the murder of a classmate. Join Donna at her book launch on Sunday, April 30, 2017 from 3:00 – 5:00 pm at the main Books Inc. store, Opera Plaza in San Francisco, on Van Ness between Golden Gate and Turk. Food and wine will be served; please RSVP to DonnaLevinsf@gmail.com. Then on May 3rd, Donna will be giving a talk at the main branch of the San Francisco Public Library on “Translating Your Experiences with Autism into Memoir or Fiction”, encouraging adults on the autism spectrum and family members to write about their experiences. Her presentation will begin at 6:00 pm. For more information, contact SF Librarian Laura Lay at laura.lay@sfpl.org or Donna at DonnaLevinsf@gmail.com. AASCEND has received an invitation from LinkedIn for Job Club members to visit its San Francisco offices for a general presentation on how to use LinkedIn and develop a profile, followed by lunch, then one-to-one work with LinkedIn employees on profile development. This should be an informative and fun outing! The date will be Friday May 19 and the time (not yet firm) will be about noon to 2. Space is limited, so if you’re interested RSVP right away to info@aascend.org.